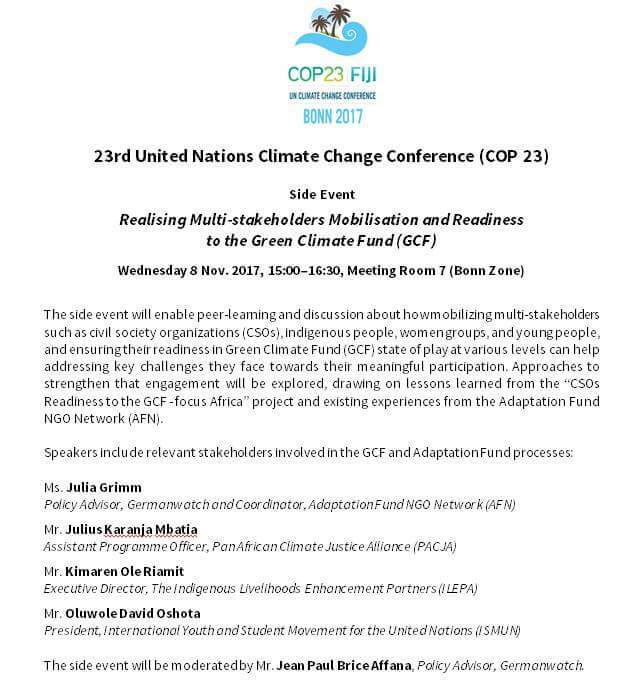 Docip has the pleasure to inform you on the 23th Conference of the Parties to the UN Framework Convention on Climate Change (UNFCCC COP23). The "UN Climate Change Conference 2017" will take place from November 6 to 17, 2017 in Bonn, Germany. The GIPC Preparatory Meeting will be held on Saturday, November 4, 2017 from 10:00am to 6:00pm and on Sunday, November 7, 2017 from 9:00am to 2:00pm at the Town Hall of the City of Cologne, Spanish Building, Address: Rathausplatz, 50667 Cologne. There will be a daily GIPC Coordination Meeting from 9:00am to 10:00am in the Bula Zone3, room De Brum. 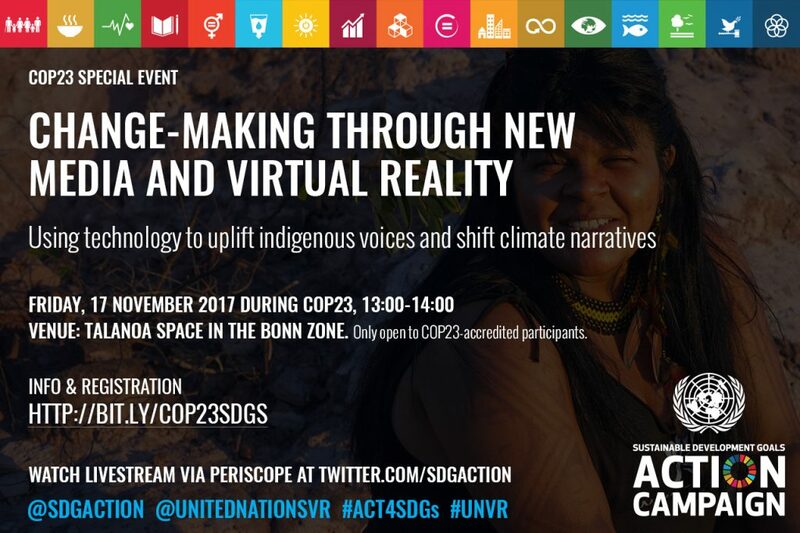 The Indigenous Peoples’ Pavilion at COP 23 is a dedicated gathering space that facilitates the effective representation of indigenous peoples, allowing them to coordinate, advocate and convene events (presentations, policy dialogues, panel discussions, publication launches, etc.) that advance the discourse on indigenous peoples’ solutions to climate change. 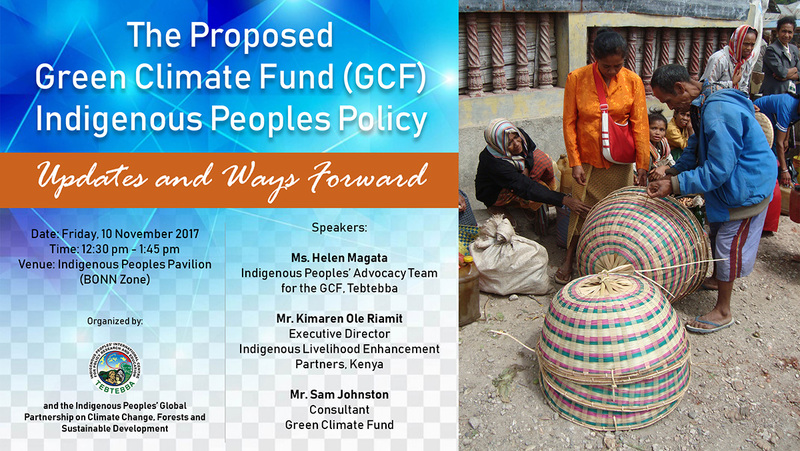 You can find more information on the Indigenous Peoples’ Pavilion on the website of the Indigenous Peoples' Forum on Climate Change (IPFCC). 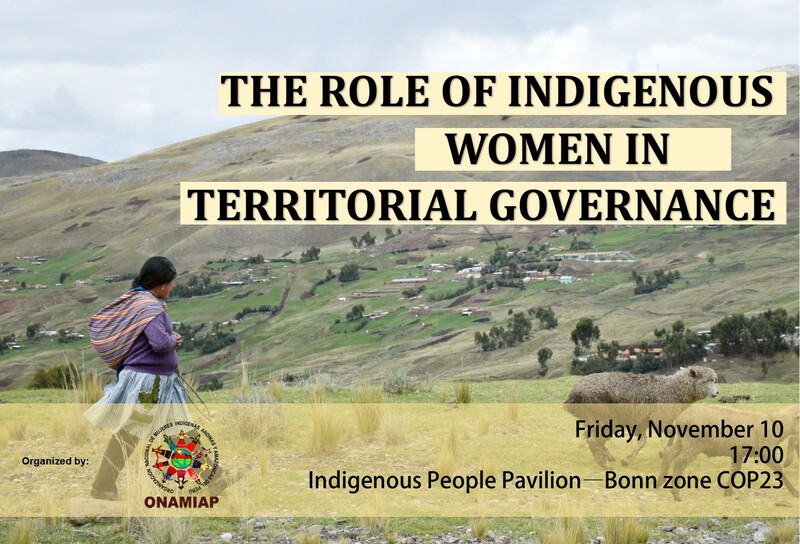 You can find our technical secretariat in the Indigenous Peoples' Pavilion, in the Bonn Zone. It will be open from November 6 to 17, 9:00am to 7:00pm. In order to support the Indigenous delegates’ work, Docip will offer access to computers, a printer and a photocopier. 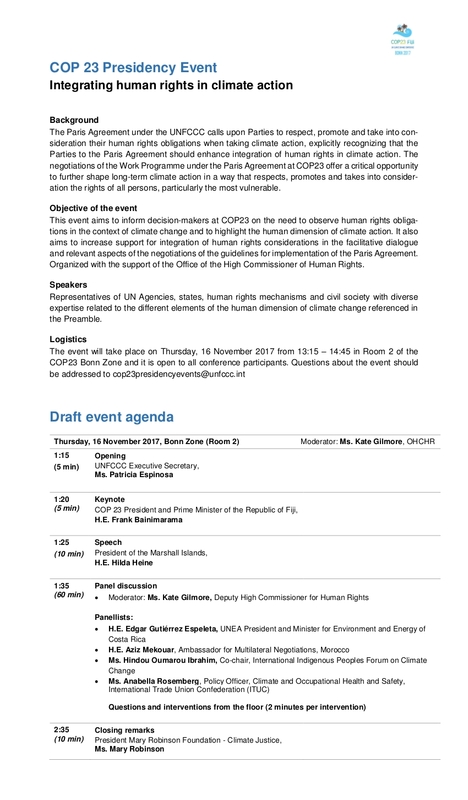 Film screening: "Thank you for the Rain"
Visit our website at http://bit.ly/docip-cop23-en and follow our twitter account @Docip_en for permanently updated information on the COP 23!